The copyright © for these articles is held by Colin Craig and they may not be reproduced in whole, or in part, without his express permission. 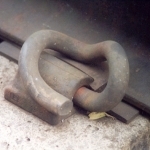 In this part the adoption of the Pandrol clip as standard will be reviewed, along with the development of concrete sleeper designs up to 2004. The Pandrol fastening systems were developed during this period from the PR clip in the early 60’s (Photo 41), through the “e clip” introduced in 1980 (Photo 42), to the “Fastclip” in 1993. It should be noted that all these clip types are still current in application. The Fastclip differs in that it requires a totally different receptor to be cast in the sleeper, and is preinstalled in the sleeper as supplied. 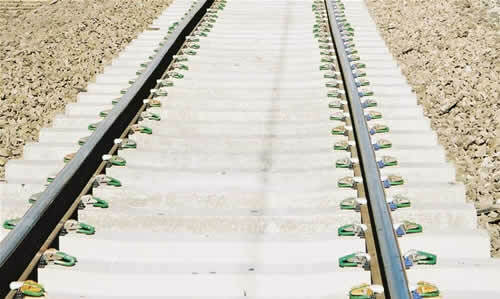 The sleepers are supplied with rail pads, used on all concrete sleepers, pre-fitted, and with all insulators in place. The clips are also pre-fitted in the “parked position” (Photo 43), and can be “installed” (Photo 44) to retain the rail with automatic equipment (Photo 45). 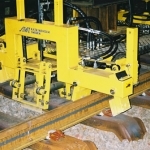 The main purpose of the Fastclip is to facilitate increased productivity and an example of this can be seen on the new rail replacement train. The PR and “e” clip are insulated with small plastic pads which have lugs to locate them around the housing and a flange which extends down between the edge of the rail foot and the housing. The Fastclips have two plastic insulators, one on the inner face of the housing and the other on the clip itself. All insulators are colour coded to identify differing specifications. 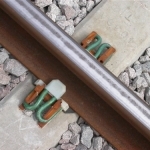 For installation reasons, the Fastclip has not been favourably received on 3rd rail electrified lines, and the preferred fitting remains the “e” clip. As in Parts 1 and 2, this is not an exhaustive summary of all the changes that have occurred, but identifies most of the major developments that can still be seen in use today. Once again, I am grateful for the assistance from my colleagues in Network Rail, and for the shots taken by my stepson Andrew Cole in his work for Network Rail. Particular thanks also to Dr H P J Taylor of Tarmac (previously Costain and Dow-Mac), Tallington, who kindly provided the considerable background information on the development of pre-stressed concrete sleepers, dimensions and dates of manufacture. Pandrol Ltd, as the company behind the period being reviewed, kindly provided me with the background, dating and technical data of the development of their products. To complete the current picture, RMC (entered the concrete sleeper market as the second supplier in 1990) have also provided dimensional data. 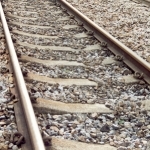 Although the concept is not new, the use of steel sleepers has seen a major increase in the last 15 years and, though it was intended to include them in this review, the complexity and degree of change that has occurred requires that this be looked at separately. I also have not been able to complete my researches on this matter! 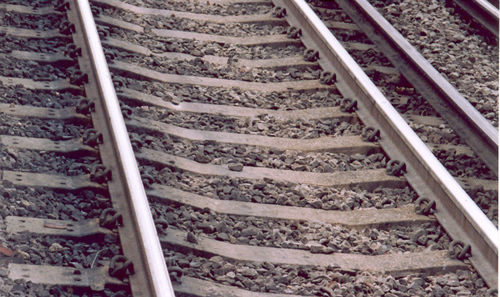 At the start of this period, the standard track gauge was reduced from 1435mm (4’ 8.5”) to 1432mm (4’ 8.38”) in an attempt to improve high speed running (reduction in “hunting”). In practice this change caused more problems than it cured and it has been returned on renewals to 1435mm with effect from 1996. 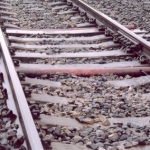 The gauge is set by the positioning of the cast-in fixings, so it is not a simple task to re-gauge existing track; it also creates problems with spot replacement of sleepers. 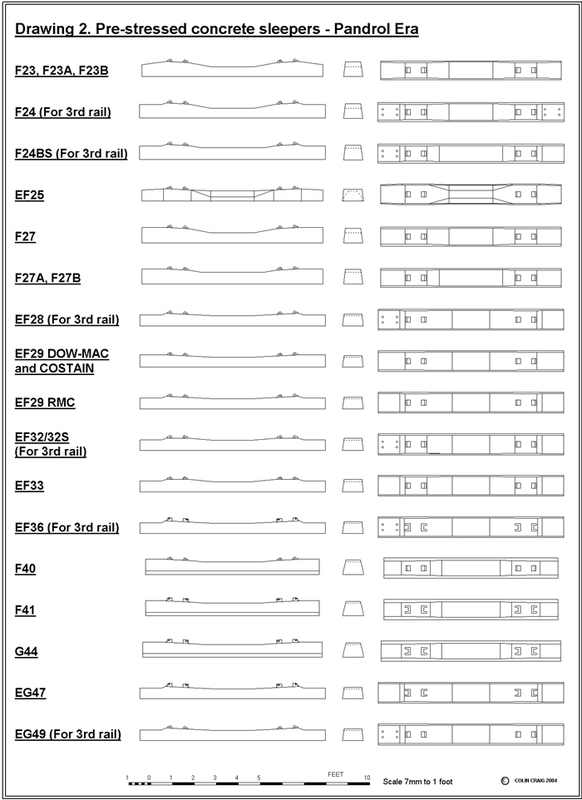 All the sleepers discussed in this article, except those fitted with Fastclips, have the reduced track gauge, but, latterly, standard gauge versions have also been manufactured for some of the other sleepers with the prefix 5; for example 5EF28. The key dimensional characteristics are summarised in Table 3. To aid an understanding of the differences, there are 7mm scale drawings of each of the sleeper types discussed (Drawing 2) in which the section drawn is that under the centre-line of the rail seat. 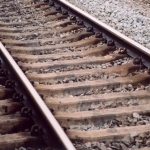 Post Hatfield (17/10/2000), the rate of renewals increased dramatically, along with the West Coast upgrade; this has accelerated the use of the Fastclip, with new track and S&C using the UIC60 rail specifically not covered in this series of articles. These visually identical sleepers were a direct development of the F11, F14, F17 and F19 with similar overall dimensional characteristics, but with cast-in Pandrol housings. It was the only Pandrol sleeper with sloping outer shoulders (Photo 46). The original standard clip was the Pandrol PR although the current replacement would be with an “e” clip. As with their predecessors, they were generally disliked by the permanent way department as the shoulders do not provide a level surface for walking the track. 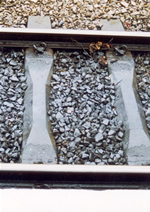 The sloping shoulders tend to be buried in ballast with current CWR ballasting methods and specifications, which has eased this problem (Photo 47). They were manufactured from 1963-69. They can still be widely seen over much of the network except on third rail electrified lines, but are often difficult to identify with the shoulders buried under ballast. Brandings observed have been DOW-MAC and 3 C’s (Costain). This may be considered the Pandrol version of the F16A, being longer than the F23 and with a stepped down flat shoulder to take the insulator for the conductor rail (Photo 48). This design of sleeper, like the later F27, has passed through several development stages involving the specification of the reinforcement and the depth of the central well. 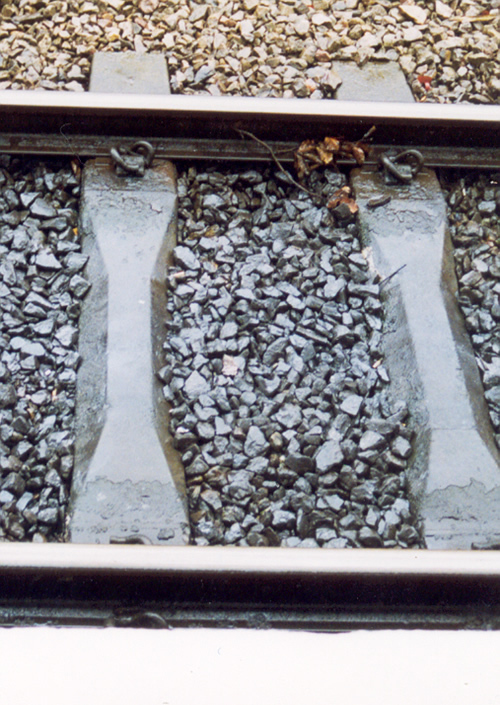 The most common later sleepers were designated F24BS (Photos 49 and 50, with no conductor rail in position), introduced towards the end of the 1970’s, and are easily identified by the reduced central well depth. The reason for the change was a need to strengthen the centre and raise the location of the reinforcement following premature fracture under the most arduous high speed conditions. 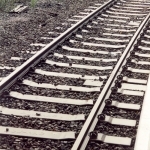 The original design dating from 1964 had holes for securing the conductor rail insulators on both ends but subsequent developments had them on one end only. The later F24BS was still current in 1996 but appears to have been omitted from later listings. The original standard clip was the Pandrol PR, although the current replacement would be with an “e” clip. Brandings observed have been DOW-MAC and 3 C’s (Costain) for the original F24 and DOW-MAC, COSTAIN, and Tarmac for the F24BS. This is the Pandrol version of the F21 (Photo 51), for use in conditions of low ballast depth; the increased width of the sleeper gives it a larger “footprint” to distribute the load. It can still be seen widely over the non third rail parts of the system. The original standard clip was the Pandrol PR, although the current replacement would be with an “e” clip. Introduced in 1964 and superseded by the F29 in the early 1970’s. Observed unbranded and 3 C’s (Costain). An improvement of the F23, with flat shoulders to increase lateral stability required for CWR (Photo 52). As with the F24, this design went through several development stages. Introduced in 1969, the change to the strengthened F27A and F27B (Photo 53) occurring at the end of the 1970’s, easily identifiable by the reduced central well depth (Photo 54). The F27A was discontinued in 2003. The original standard clip was the Pandrol PR, although the current replacement would be with an “e” clip. Brandings observed have been DOW-MAC and 3 C’s (Costain) (Photo 55) for the original F27 and DOW-MAC, COSTAIN, and Tarmac for the F27A. This is probably still the most common sleeper to be seen on the rail network today. 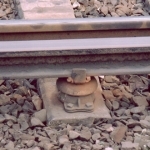 This is the third rail version of the EF25, but with the centre strengthened with a plain shallow depression as a continuation of the 1 in 20 rail seat (Photo 56). 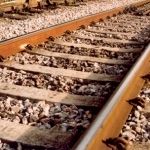 It is designed for use in conditions of low ballast depth; the increased width of the sleeper gives it a larger “footprint” to distribute the load. There are stepped down outer ends to give the correct seat height for the conductor rail insulators with one end only having holes for the securing bolts (Photo 57). The original standard clip was the Pandrol PR, although most installations and any replacements have been with the “e” clip. Seen branded DOW-MAC, COSTAIN, Tarmac and RMC. 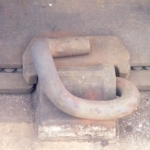 The third rail insulated mountings are secured with a standard 4 bolt plate (Photo 58). Introduced in the early 1970’s and still manufactured today in its original narrowed gauge and standard gauge (5EF28). 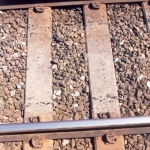 This sleeper eventually displaced the F24BS as the standard on third rail electrified lines, even though it is for nominally shallow ballast conditions. 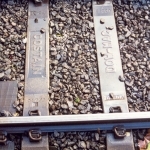 The progressive change in sleeper profile is clearly demonstrated in a spot replacement of an IRJ (Insulated Rail Joint) observed on a non third rail electrified line near Warminster (Photo 59). 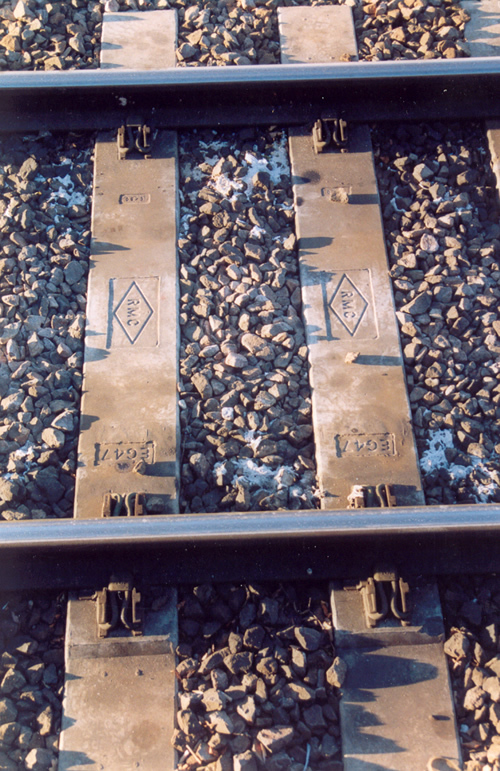 The advance and rear sleepers are F24, with both F24BS and EF28 between. This sleeper is identical to the EF28, except that the original manufacture by DOW-MAC and COSTAIN did not have the stepped down outer shoulders (Photo 60). 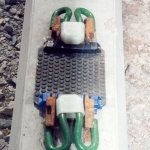 The RMC version, which is still manufactured, is identical to the EF28 except for the absence of holes for securing a conductor rail insulator. Also available as 5EF29 for standard gauge. 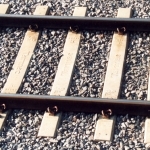 These sleepers are identical except for the provision of mounting holes for securing a conductor rail insulator on EF32 only. The rail seats are horizontal to match the vertical rail setting used on S&C. 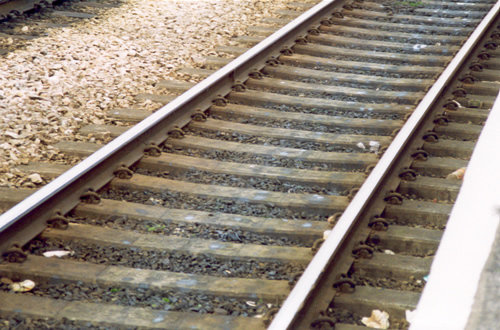 It is used on plain rail between items of S&C where the distance does not merit the change to 1 in 20 inclination and back again. Also available as 5EF32 and 5EF33 for standard gauge. 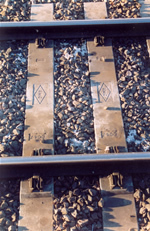 These sleepers are the Fastclip versions of the EF28 and EF29. There is an additional designation (0) i.e. EF36(0) for those without the provision of mounting holes for securing a conductor rail insulator. A further development of the F27, the central depression was strengthened further and the overall length reduced. The overall length was reduced to ease handling on single line relaying gantries. Introduced in 1983 it was the standard sleeper until superseded by the longer G44 in 1999. It was the first mass-produced sleeper to be specified as requiring the Pandrol “e” clip (Photos 61 and 62). It also used a more resilient 10mm rubber rail pad (earlier sleepers used 5mm pads). 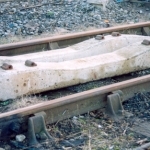 The sides of the sleepers differ from the earlier types in having a more pronounced and compound angle. Also available as 5F40. Observed with DOW-MAC, COSTAIN, Tarmac and RMC brandings. Identical to the F40, but with housings to take the Pandrol Fastclip. Introduced in 1996. Manufactured by both Tarmac and RMC. The shape is identical to the F40/F41 but the overall length has been increased. The housings are for Pandrol Fastclips at a wider separation to take UIC60 rail. 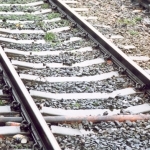 They can also be used for 113A rail by the installation of thicker insulator fitments between the rail foot and the housings. The “G” designation identifies that it can be used for UIC60 rail, with the potential for 30 tonne axle loading (Photo 63). 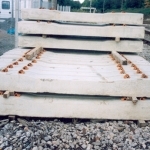 This is the current standard concrete sleeper for non third rail main line renewals since 1999. Manufactured by both Tarmac and RMC. The shape is identical to the EF36 (Photo 64), but, as for the G44, the positioning of the housings is for UIC60 rail, and uses 10mm rail pads. Manufactured by both Tarmac and RMC, this is the current standard for non third rail main line renewals in areas of low ballast depth. The shape is identical to the EF28, but is fitted with housings, as on the F40, for Pandrol “e” clips, and 10mm rail pads. The spacing of the housings has been increased for use with UIC60 rail. 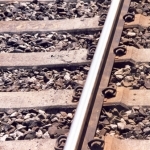 This sleeper type will become the preferred type for major third rail main line renewals. Although outside the remit of this series of articles, it provides an understanding of the most significant trends. 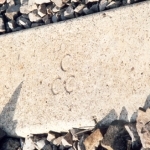 This completes the basic history of the development of concrete sleepers in Great Britain up to 2004. In Part 4 (still in preparation) I will endeavour to unravel the developments in steel sleepers and also have a look at current ballast specifications and their impact on modelling the CWR era. Table 3 – all dimensions are in mm.